A few weeks ago I receive this gift in my mail box. 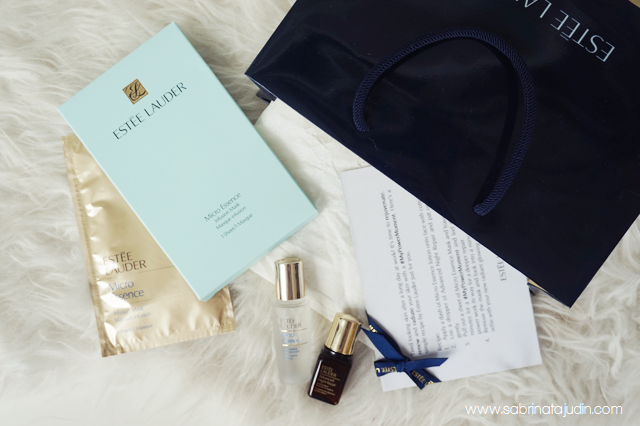 It is the #mypowerment Kit by Estee Lauder. I don't normally blog about samples but since this is a kit I should let you gys know does these most raved skincare really works. After a few days of busy like a bee, I get the chance to pamper my self last night with these babies. 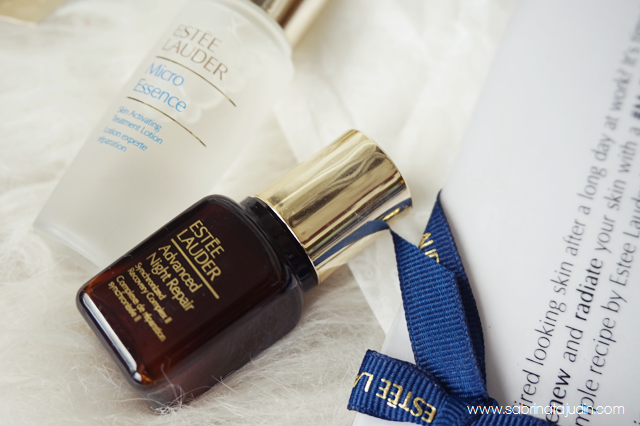 It is time to pamper my tired skin after all day of working! 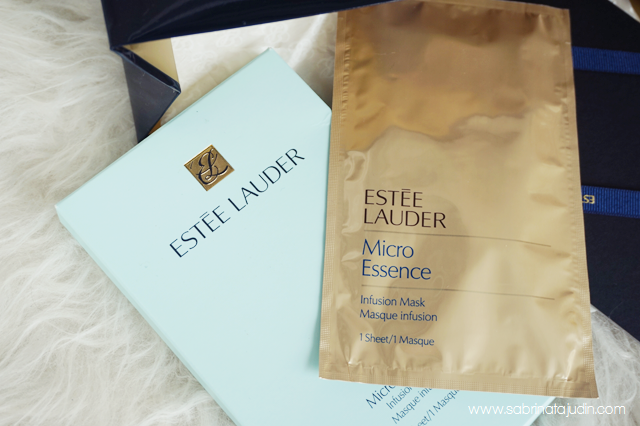 This kit consist of their best seller products which is the Micro Essence Lotion, Advance Night Repair and the Micro Essence Mask. These are the steps and recipe to a more radiant and glowing skin!